Peru is looking to its future with new plans to use solar to provide electricity for about 2 million of its poorest residents by the end of 2016. The country, which is the world’s second largest exporter of copper, is experiencing strong demand for new electric generation to support its mining and other operations. As such, it needs to add 500 MW of new electric generation annually for the next few years. In all it plans to add in 2.1 gigawatts of new electric generation. The solar being installed will only be a part of the larger target, which includes hydro-electric and gas-fired electric generating power plants. The country, will add in 1 GW of hydro-electric, 800 MW of gas-diesel power plants and 300 MW of renewable energy. When completed, “The National Photovoltaic Household Electrification Program” and other programs will allow 95% of Peru’s population access to electricity. While that’s not everyone, it’s a pretty high percentage of the population and it’s a rapid ramp up. Right now, about 66% of the country’s population has access to electricity in the mountain-rich country. -Peru Energy and Mining Minister, Jorge Merino. Under the first phase of the program 500,000 homes will get access to power from roughly 12,500 PV arrays, and is expected to cost $200 million, which is only part of the $3 billion that Peru plans to spend on new electric generation. By bringing access to electricity throughout so much of the country, this could help propel its economy and help more of its citizens get access to health services, refrigeration, water filtering and more. It can also bring more of Peru's rural areas out of poverty. United Nations Development Programme's 2012 Human Development Index reports that about half of its people are poor and 20% of its people are considered extremely poor. $3 billion (approx RM9.8 billion) could well benefit the folks in the rural areas of Malaysia, plus, improvement of the power supply system in Sabah. Peru is targetting a completion of this project in 2016. We certainly don't need 10 years (year 2023) to solve the power supply woes in Sabah. 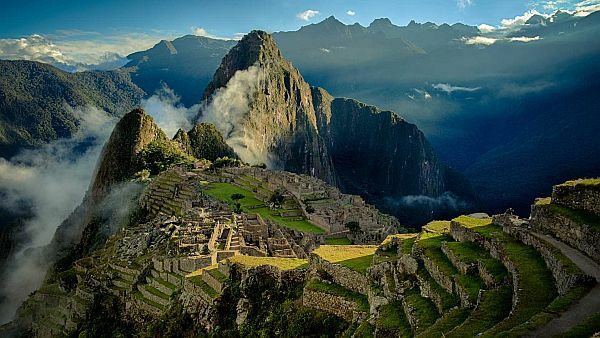 wow that picture of Peru is stunning yet a little surreal. Yes, I love the picture too.